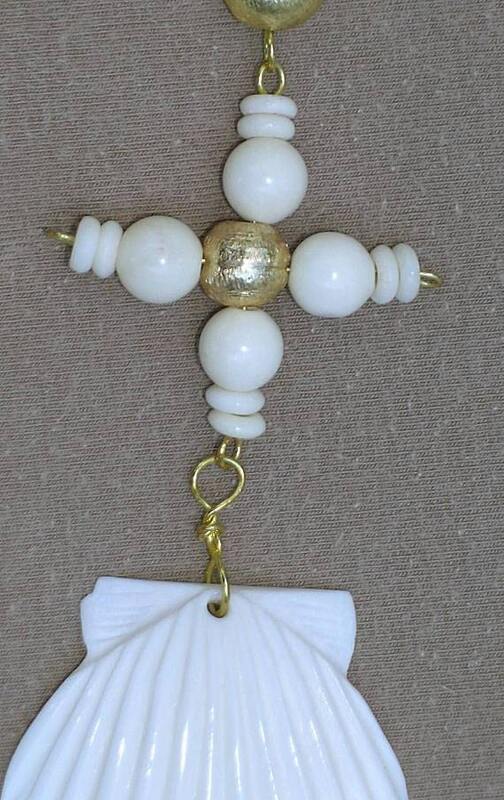 This paternoster has ten 12mm white bone beads with gold spacers connected with wire links. 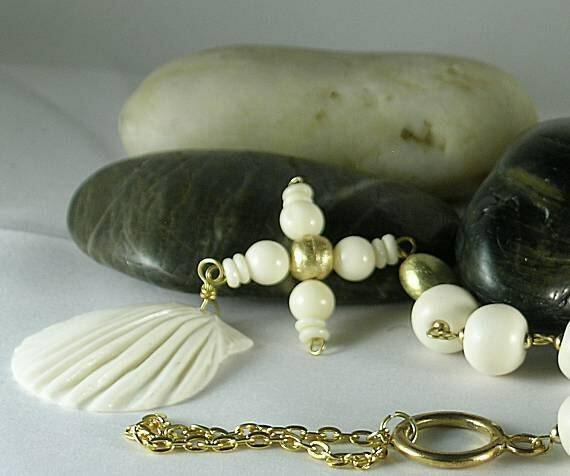 At one end is a flat brushed gold bead immediately followed by a handmade bone and brushed gold Credo Cross measuring 32mm. This style of cross was used for saying the Apostles Creed. 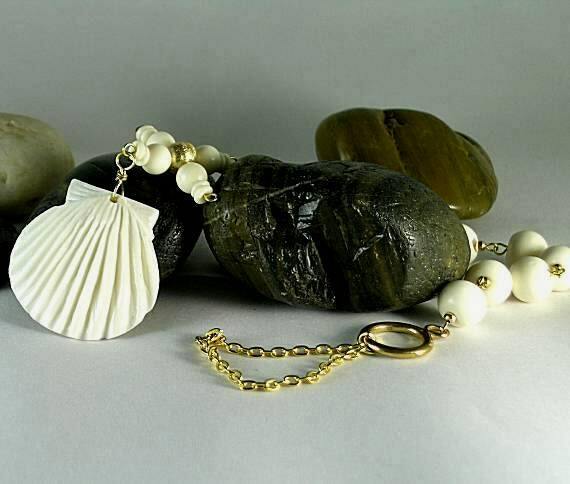 The tenner ends with a shell shaped bone pendant. 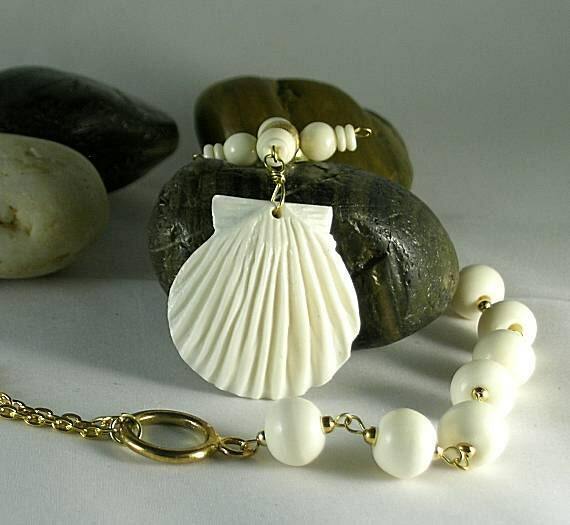 The scallop shell measures 1 1/2 inches or 38mm. It was the symbol for St. James and represented all pilgrims on a religious journey. At the other end is a ring with a chain attached for hanging. This tenner is approx. 12 inches long not including the chain.